Making a statement in your yard is easy with a hardscape, or any solid landscaping surface or structure. 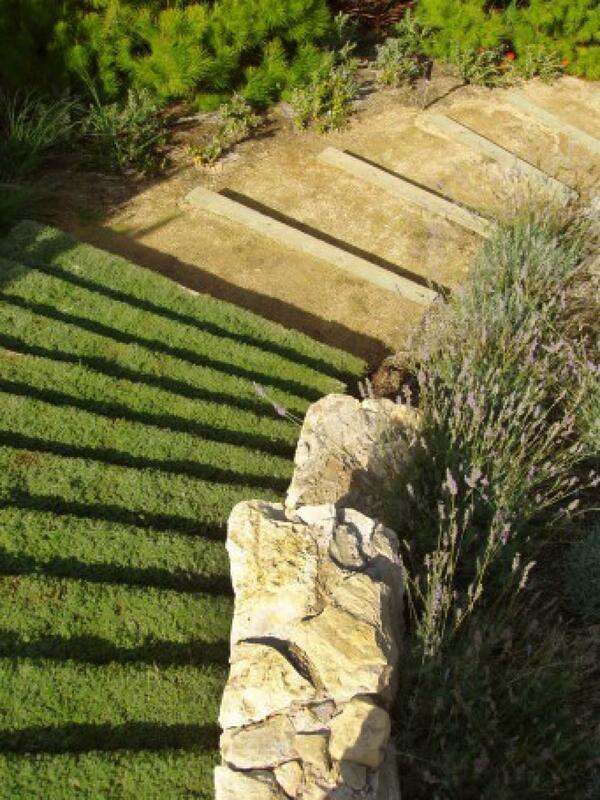 Here are some examples of hardscapes to choose for your landscaping project. Driveways are difficult to design aesthetically, but their size makes them important for curb appeal. Make your driveway more appealing with interesting materials like stained concrete, cobblestone or concrete pavers. The HGTV Green Home 2008 features a double-ribbon driveway with concrete pavers — a permeable option that filters rainwater. There are many different surface choices for walkways and paths, including pavers, brick, stone, concrete, terrazzo and glass pebbles. 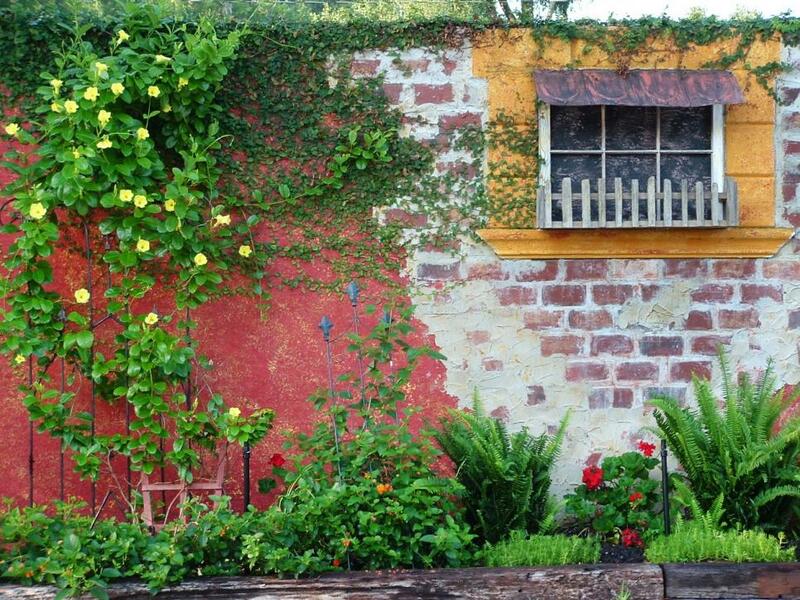 Be sure to choose an option that fits your garden and complements your home. 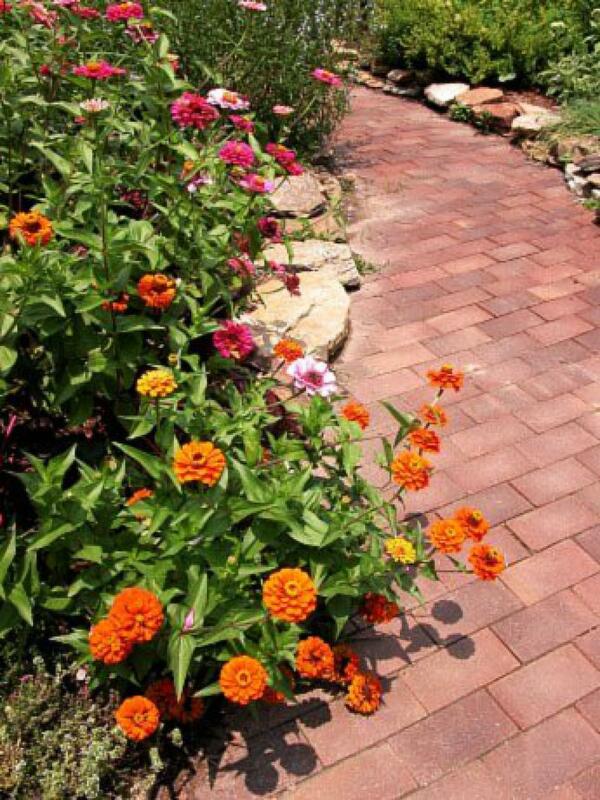 This simple brick path works with the warm colors of the summer flowers and gives the garden structure in the winter. One of the easiest and least expensive landscaping projects, gravel paths offer flexibility in shape and design. 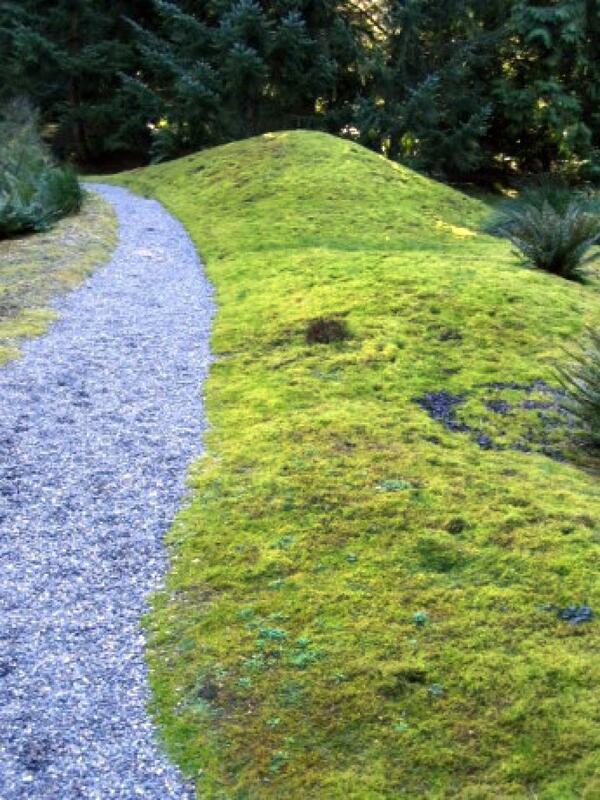 This simple gravel path is accentuated by a border of moss. 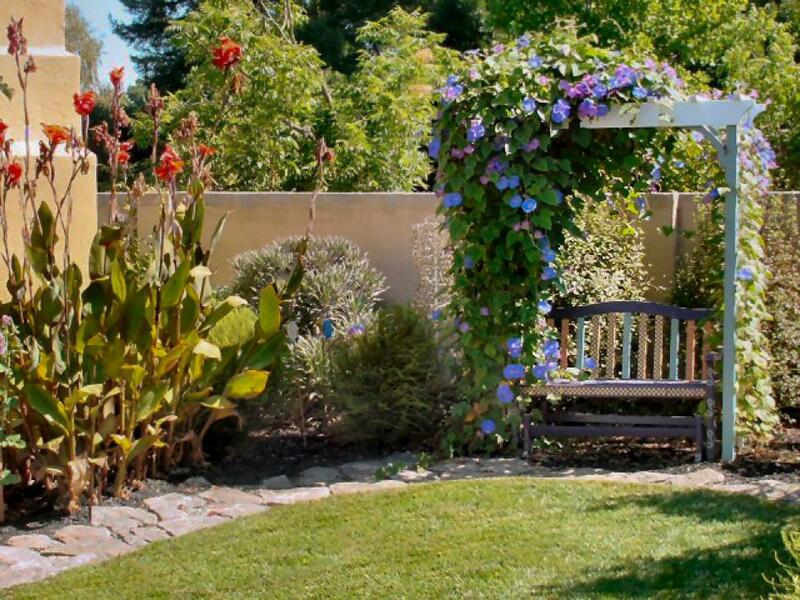 Fences can give your home a sense of privacy and security. Picket or narrow slats provide a psychological barrier, while taller, more solid fence walls shut out the world. 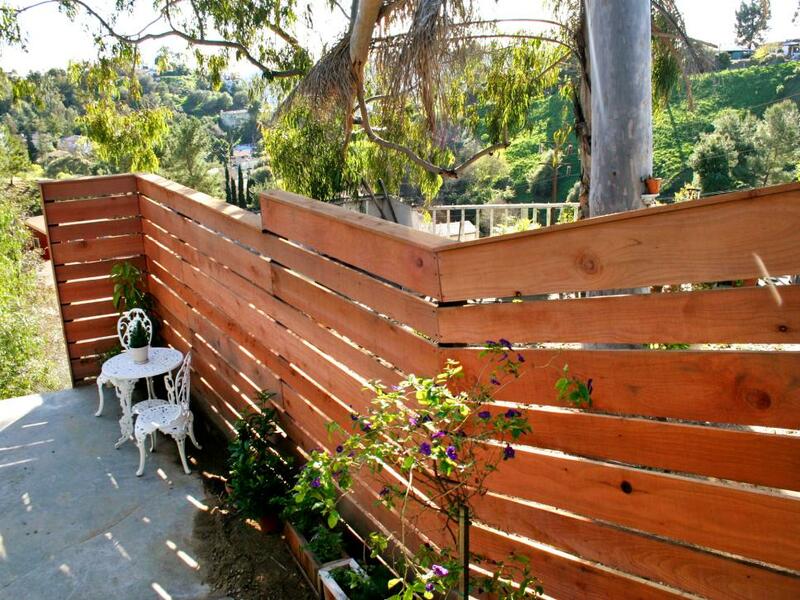 This aesthetically interesting fence, with its horizontal planks, is the perfect height for privacy. Whether installed for privacy, stability or function, walls are a lasting design statement. Choose wall materials according to the architecture and the region of the house. Rate My Remodel user twd33 turned an unsightly wall into an artistic masterpiece by adding some color and plantings. 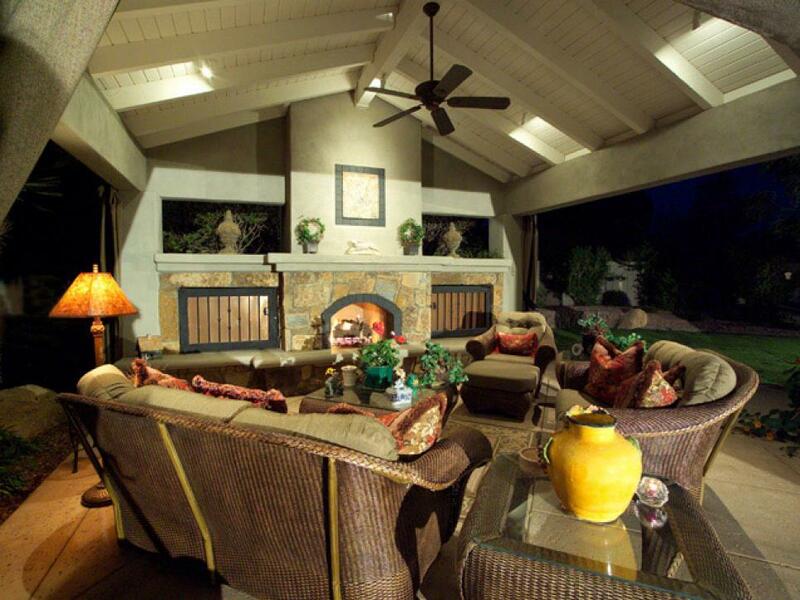 When constructing a patio, be sure to include enough room for lounge chairs, cocktail tables, a bar and plenty of space to move around. 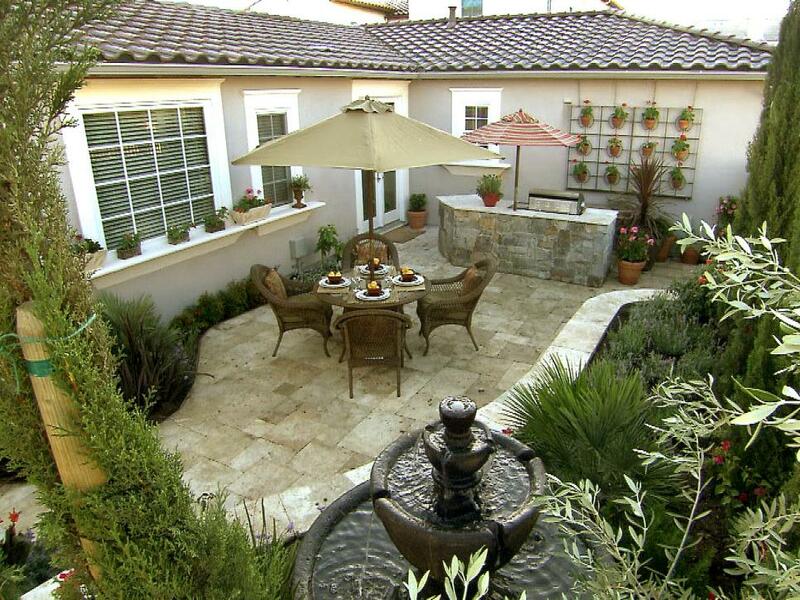 Patios can be constructed from many materials, including flagstone, brick, stamped concrete and concrete pavers. 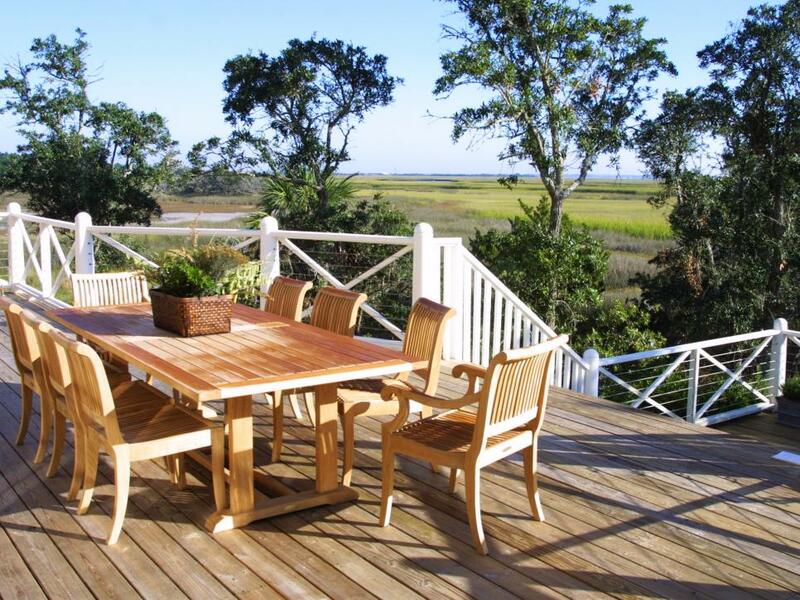 This picturesque patio features a dining area and a barbecue island. 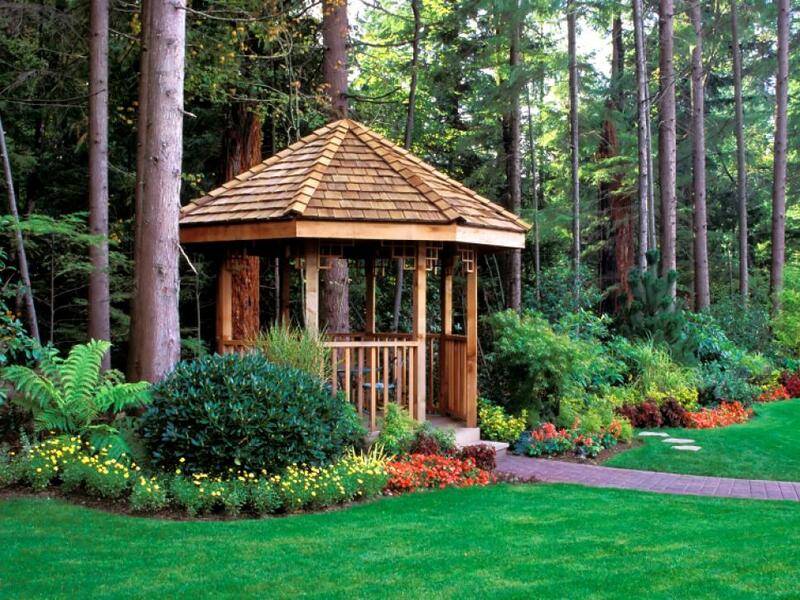 Freestanding gazebos are extremely popular in landscaping projects. Before you drop one into your yard, be sure it has a purpose. Whether it’s a satellite patio, a spa enclosure or a sheltered play area for your kids, decide what you want the structure to be used for.